Society of Indian Aerospace Technologies and Industries (SIATI) was founded to bring together the various industries, R&D and other organizations in the country engaged in the field of aerospace on a common platform to provide interaction among themselves as well as with overseas industries/ organizations to enhance growth opportunities for all. 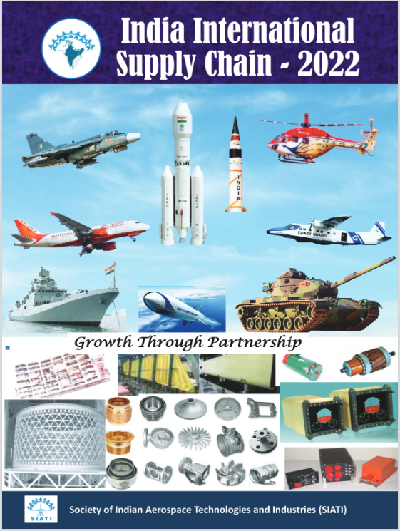 SIATI, an important ‘Gateway’ to Indian Aerospace business and Global co-operation for tie-up in R&D, Technology, Joint Ventures, Collaborations, Co-productions and information-exchange. Our mission is the growth of aerospace infrastructure and capabilities in India, creating useful interaction among Indian and International aerospace industries, R&D, academia, Quality and Regulatory agencies for development and production of aircraft materials, components, structures, equipments and systems, enhancing private industry participation with special focus on SMEs and international cooperation for the benefit of all concerned, developing global opportunities, greater employment, wealth and welfare.